Generally, the advantage of casting is that it melts aluminum alloy at high temperature and pours into a mold to form as one so the designing flexibility on the disc is pretty high thus it’s easy to mass produce and cost effective. On the other hand, from technical stand point, it’s hard to reduce weight since it’s difficult to form into thin metal. Also what was formed through casting is often uneven and particles are not cohesive therefore its strength is not good enough. On the other side, forged wheels are made by running a lump of aluminum or alloy into high-pressure pressing machine thus aluminum particles spread and formed according to wheel shape and it is stronger (Fiber Flow). 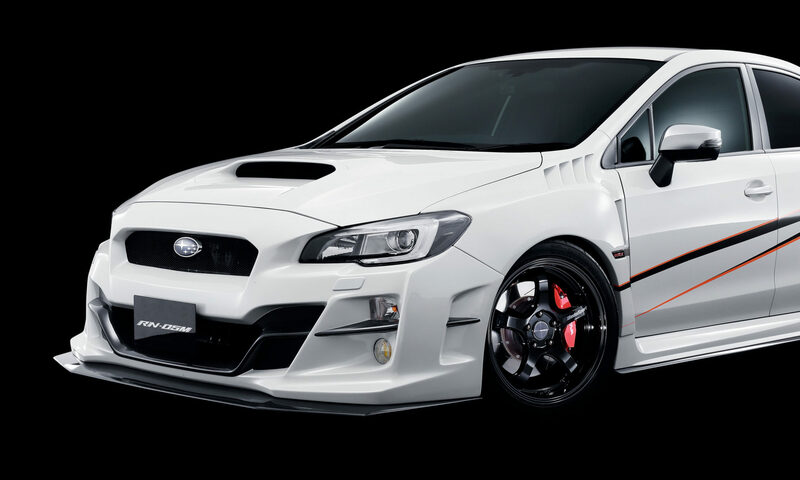 Because of the way they are produced, forged wheels can be made light-weight. It seems like it’s perfect but there is a definite weakness of “It’s not flexible from design perspective. It has already been explained, forging process uses high rate of weight to form the shape consequently, it is not suitable for complicated cosmetic face design. Forging also has a disadvantage of being more expensive due to multi-processing. In AMF, first of all, simultaneously cast rim and disc. Secondary, cast disc (= rim material) is to be put through wheel-only spinning processor and roll the rim. Cast into a shape unique to flow-forming. It is molded with stretching as opposed to other products that are casted in with shape of products. With application of extensive heat, rim sections are stretched by exclusive spinning equipment. Add machining process and paint after spinning to make it into a product. It realizes more flexible and tenacious strength by having aluminum material’s crystal and macro formation get further detailed through being forged in this process. 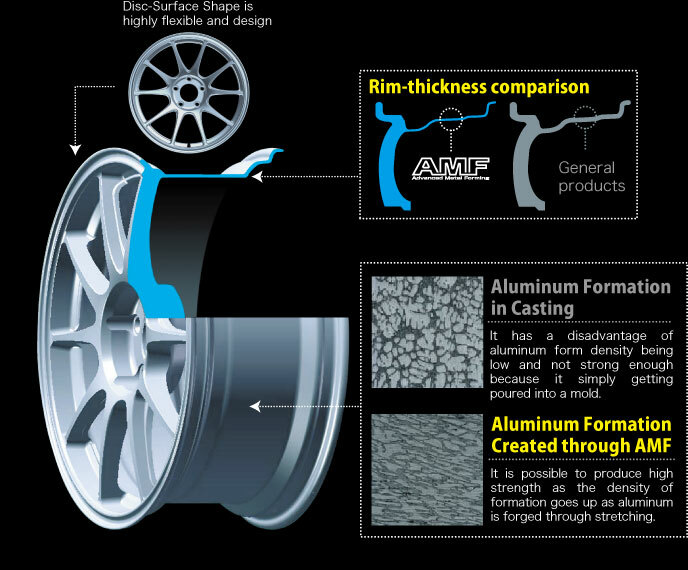 As a result, high-strength rim with “stretch strength,” “durability,” and “spread” which are basic characters required for aluminum wheels, is born. Now it is possible to create high-precision rim that is seamless tube as compared to the type that forms a sheet material into a ring through welding. AMF on disc surface is normally casted, it keeps design-flexibility, but it contributes to reduction of under spring load because the rim-part is spread thin as much as possible by spinning machine. Such new method of manufacturing process method is AMF which has the merit of both casting and forging. AMF was newly created the WedsSport brand concept “Faster, Safer.” New generation technology improved in motor sports enters the scene with superb performance.